The NC Department of Transportation has these tips for travelling during the eclipse. On Monday, August 21, 2017, all of the continental U.S. will experience an eclipse of the sun for the first time in 99 years. A total solar eclipse will be visible within a path 70 miles wide that stretches across 14 states from Oregon to South Carolina. 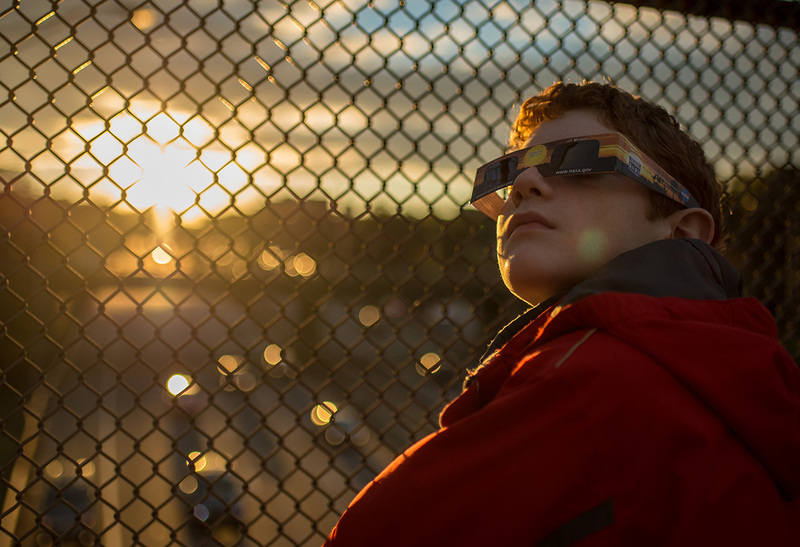 In the area of the path of the total solar eclipse, daylight will fade like dusk, go to darkness and then have a dawn-like experience in the middle of the day. People in the path of total eclipse will have approximately 2 minutes and 30 seconds when the moon will completely block the sun, and they will be able to see the details of the sun’s atmosphere, or corona. A total solar eclipse will be visible over a small portion of western North Carolina beginning at 2:33 p.m. Counties in the path of totality include Cherokee, Graham, Swain, Clay, Macon, Jackson and Transylvania. Almost everywhere else in North Carolina will experience a partial eclipse of 90 percent totality or more. Large numbers of people are expected to make their way toward the path of the total eclipse in North Carolina. Here is the information you need to know so that you can make your travel plans and safely observe this amazing event. If you are travelling that weekend, prepare in advance.